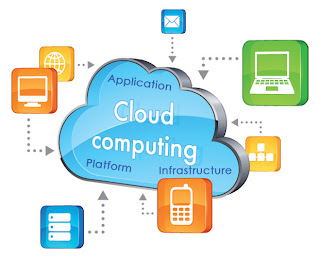 Discovering New Things at the Technology..,: what is Cloud Computing..? One of my Junior joined the company straight after the college he asked me many doubts about cloud computing which i feel worth sharing with the web community. In this blog post my aim is to make person understand what cloud computing is all about? What is Cloud? Or What is Cloud Computing? Using the Computational resources ( like servers) from some a persons (cloud vendors) who owns, maintains the hardware devices and in return paying them for the service which we used. Why the name Cloud Computing? In network diagrams the Internet usually is represented as a cloud.Thus using computing resources from the Internet is eventually called as cloud computing. 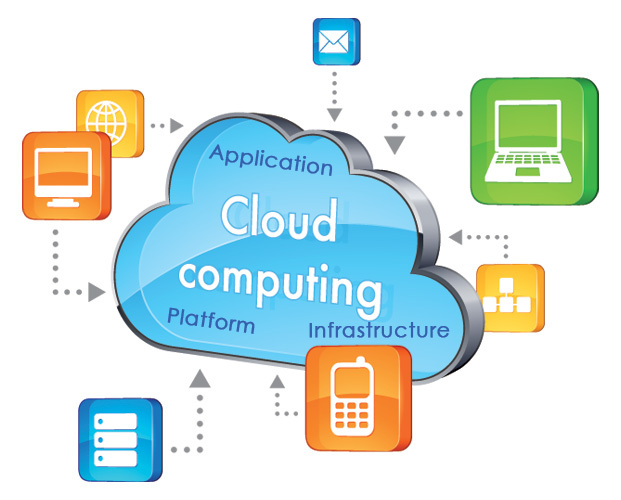 There are 3 ways through which cloud computing offers service. What is Infrastructure as a service or IaaS? In Infrastructure as a Service Cloud Computing, the Cloud vendor give the computers as physical machine or as a virtual machine for hosting application(web server), storing files (storage server), using proxy (proxy servers). They usually give the IP address of the computer in which the service is available.The Cloud infrastructure is usually managed by a web interface which is given by the cloud vendor.Using the Web Interface given by the cloud vendor functions like adding the RAM ,adding hard disk etc can be done. Amazon Web Services from Amazon. · Flexiscale: Europe based cloud computing. · Eucalyptus: Software platform for the implementation of private cloud computing. (open source). In Software as a Service Cloud Computing, the Cloud Service Provider supplies the infrastructure with the software product.We as a user usually consume the software through the web interface. · SalesForce -offers Customer Relationship Management Software over the cloud (internet). · ForceMicrosoft Office Online.com from Microsoft : offers MS-Office Software over the cloud. · Gmail from Google: offers web based Mailing software. · Google Docs - from Google: offers MS office kind of software which includes docs, PowerPoint, spreadsheet over the cloud at free of cost. Elastic - The infrastructure can be expanded on the go. Managed - as it is highly automated. More Mobility (Remote Accessibility) - you can use your cloud infrastructure from anywhere. Reduced Cost (May be in some cases). Privacy : As the data is managed by some others (Cloud Vendor). Risk of losing Internet Connectivity. The below image from Rackspace.com explains about cloud. The way you have explained your point of view in AWS technology is fantastic. I agree to your points.I am looking forward to gain more knoweledge in cloud computing. Keep updating with us. his information is impressive; I am inspired with your post writing style & how continuously you describe this topic. After reading your post, thanks for taking the time to discuss this, I feel happy about it and I love learning more about this topic..